These stainless-steel netting stuffers are perfect for stuffing all types of meat and poultry. 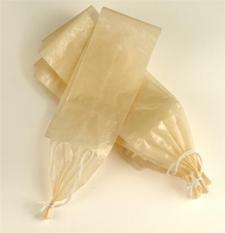 These efficient stuffers allow for ease of stuffing and help reduce loss of natural juices. They are also easy to clean and store.